This week was full of the usual diversity which helps me love my work! At the beginning of the week I joined a panoply of individuals involved with cattle youngstock at a workshop organised by AHDB to work out what we can do to reduce losses from pneumonia. Is it that we don’t know enough? Or we cant communicate messages well enough? Or that we don’t prioritise youngstock health? Or this is as good as it gets? Motivating vets and farmers to do more to reduce pneumonia is surely a challenge: and it always seems harder when the economics are so tough as they are now for a lot of dairy farmers viagra andorre. 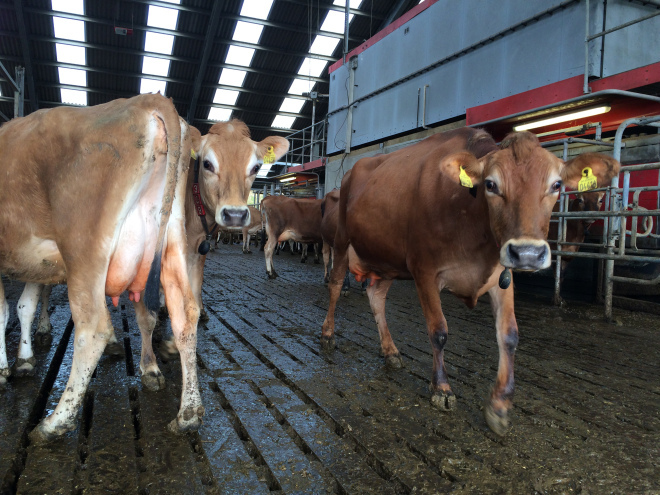 I also visited a couple of excellent Robotic Milking herds. This is part of my “slats project” for Moore Concrete. An excellent opportunity to observe cows and their behaviour. They will tell us what they think to different walking surfaces, and Surefoot slip resistant slats come out pretty well indeed. Amazing to meet forwards thinking farmers with such positive enthusiasm despite dire milk prices and undoubtedly worrying times. The working week ended with a trip to Yorkshire to meet my Nuffield Scholar mentee. Robin Asquith is a “care farmer” and will be travelling around UK and Europe to meet other care farmers and learn more about how “green prescriptions” work. Taking on farm trainees with disabilities, special needs or from difficult backgrounds seems to be good work and Robin is an inspiring young guy. I really look forwards to working with him over the next 18 months. And whilst in Yorkshire, catching up with old vet college pal and now care farmer, Gareth Gaunt, was a pleasure. Ending the week unfortunately losing the battle with a cold which has been lurking a few days. Night Nurse then bed! Tomorrow is another day.